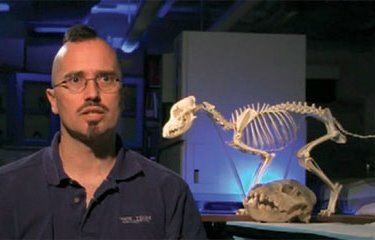 The Secret Science Club: The Secret Science Club presents Evolutionary Anthropologist Todd Disotell on Human and Primate Origins, Tuesday, October 12 @ the Bell House, 8 pm, FREE! The Secret Science Club presents Evolutionary Anthropologist Todd Disotell on Human and Primate Origins, Tuesday, October 12 @ the Bell House, 8 pm, FREE! No more monkeying around . . . The Secret Science Club goes ape! The order Primates represents more than 400 living species, including the Pig-Tailed Macaque, the Golden Lion Tamarin, the Mountain Gorilla—and yours truly, Homo sapiens. We primates all share certain characteristics, but humans are the only ones that live on all seven continents, question the meaning of life, and conduct DNA analysis. --When did our first primate ancestors evolve? --How did humans emerge—and diverge—from other primates, such as our closest relatives, the chimpanzees and bonobos? --How do genomics help elucidate and recalibrate the fossil record? --What happened to the other species of Homo—erectus, habilis, and neanderthalis? --And what exactly is a Chumanzee? 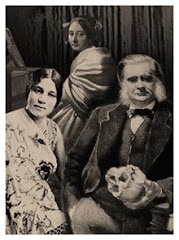 The “Secret Science Club” meets Tuesday, October 12 @ the Bell House, 149 7th St. (between 2nd and 3rd avenues) in Gowanus, Brooklyn, p: 718.643.6510 Subway: F to 4th Ave; R to 9th St; F or G to Smith/9th. Doors open at 7:15 pm. Please bring ID: 21+. No cover. Just bring your smart self. Pocket protectors suggested. PLUS! COMING SOON . . . The Secret Science Club teams up with the Imagine Science Film Festival for an evening of new science-themed short films, plus Dance Your Ph.D. and live music by neuroscientist rockers, the Amygdaloids, and Balun. Stay tuned for more info!